This ad was posted on September 3rd. This ad is now closed. 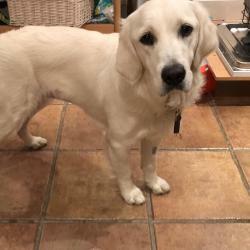 I have a fabulous golden retriever - almost white, 11 months old. We are really struggling to cope with her. Have four small children and thought it would get easier but they are all just a bit too hyper for the dog. Great temperament, beautiful dog. Would love to get her into a good home. Note! This ad is now closed. 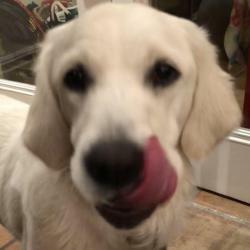 See other Golden Retrievers for sale.